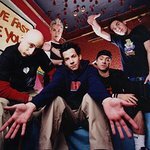 Canadian rockers Simple Plan set up the Simple Plan Foundation in 2005. The foundation’s aim is to help young people in need by easing their often difficult passage to adulthood. Since they themselves are young, the band’s members are particularly aware of the problems faced by teenagers. They are even more familiar with these problems as they are in constant touch with their fan base. In 2008, the band announced plans for the foundation to distribute $100,000 to organizations that aid children or families experiencing difficulties due to handicaps or illness. Selected organizations included Children’s Wish Foundation, Kids Help Phone, and War Child Canada. Google trends for "Simple Plan Foundation"
We don't have any videos related to Simple Plan Foundation.